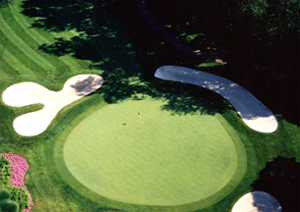 Founded in 1963, Hidden Creek Country Club was designed and developed by the renowned golf course architect Ed Ault. 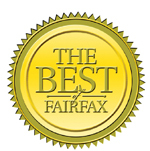 Located only a few blocks from bustling Reston Town Center, the rolling hills with beautiful landscapes and scenery surprise even the most tenured Reston residents. 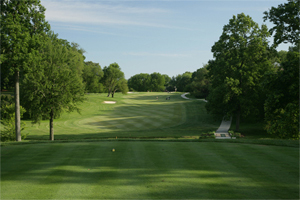 The award-winning Ed Ault Signature course is an 18 hole, par-71 measuring 6,758 yards from the championship tees. 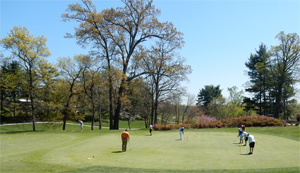 The outstanding layout follows several meandering creeks which come into play on nearly every hole. 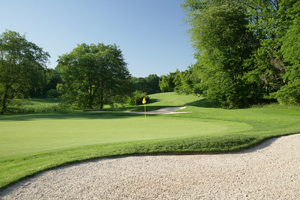 The well protected greens, contoured fairways and the 50 perfectly placed bunkers make Hidden Creek a true test of golf. Full of challenges for the more experienced golfer, Hidden Creek is also forgiving enough to be enjoyable for players of all skill levels. Those that play the course for the first time rave about the playability and always comment that the greens and fairways are the best in the area.